The Latest in Celebrity News, Red Carpet Moments, Viral Videos and Breaking Celeb Rumors! : JAY-Z IS FORBES HIP HOP TOP EARNER! 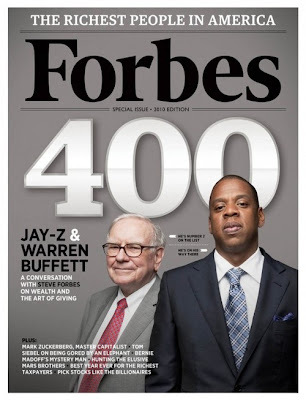 JAY-Z IS FORBES HIP HOP TOP EARNER! It looks like Jay is back at #1 due to his many business ventures and his 'BluePrint3' tour ... He managed to pull up 37million dollars,driving ahead of Diddy, kanye and others .... View the full list after the jump! What do you think about the list? Tell me in the comments!